In my opinion, multitasking is the single biggest feature that has been added to the iPad since its more humble beginnings in 2010. While it was certainly possible to use earlier iPads as tools for creation, rather than just consumption, it was this feature that allowed users to take the greatest advantage of tablet’s the screen real estate and increasingly powerful processors. For me personally, this is the feature that makes my 12.9″ iPad Pro more than just an oversized tablet. As much as I love using the Apple Pencil, I use multitasking multiple times a day, every day. As easy as it is to slide an app in or open a pane on the right hand side to multitask, and as well as these features work once the app is ready to go, getting to or changing apps is cumbersome, at best. At worst, if you have a lot of apps installed, it is a giagantic pain. 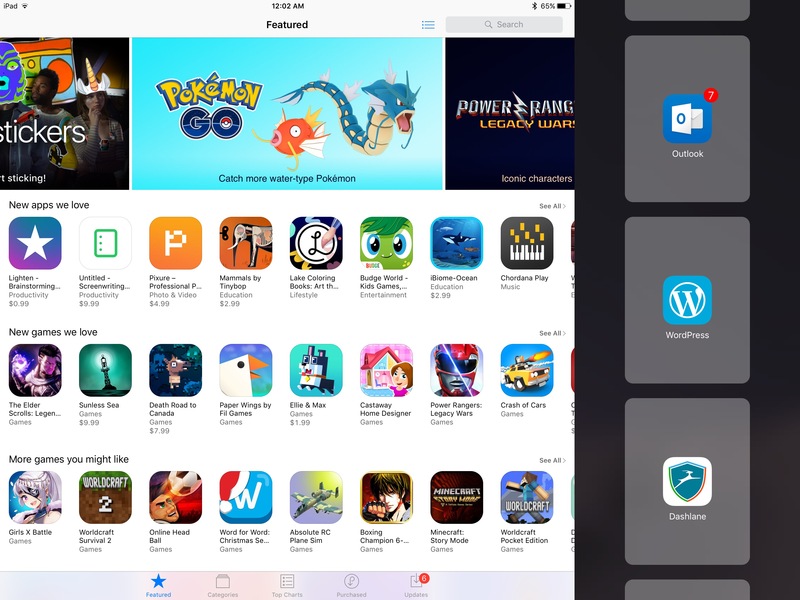 If Apple wants users to take its iPad Pros more seriously as a primary computing devices, then revamping multitasking app selection needs to be priority one in iOS 11. For those of you who may be using an older iPad and haven’t used the iPad’s multitasking features, it certainly isn’t hard to explain. First you pull in the multitasking pane from the far right of the screen. 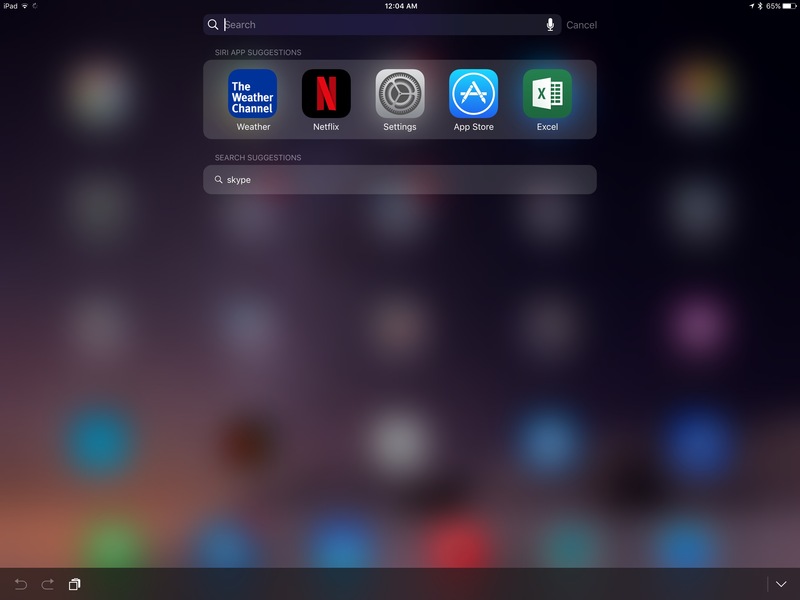 Then, similar to pulling down the Notification Center shade in the main window, just swipe down from the gray oval at the top of the multitasking pane, and a single file list of every compatible app on your iPad appears in a single file list. I understand that this was a very easy way to implement multitasking initially. Early on that first year, only a handful of third party apps were compatible with the new multitasking features, so it wasn’t as cumbersome to use. However, as the iPad Pro lineup has grown and time has gone on, the majority of iPad apps that are kept up to date have been updated to add this important feature. For users like myself, that list can be quite long these days. I’m certainly not saying that the current interface is unusable, just that it’s due for a fresh coat of paint that makes the experience work better. Either reduce the size of the app icons in the multitasking pane, or allow users to select a size in Settings. While the current App Icons feel overly-large to me, I can understand that someone with poorer eyesight or a visual imparement might have an issue with smaller icons. A little user choice would go a LONG way here. Going hand-in-hand with the suggestion above, another easy improvement would be adding the ability to display app icons in multiple columns. This would already be easy to do when the multitasking pane is openened to take half of the screen or more. However, with the current setup, apps are displayed in a single-file column no matter what. 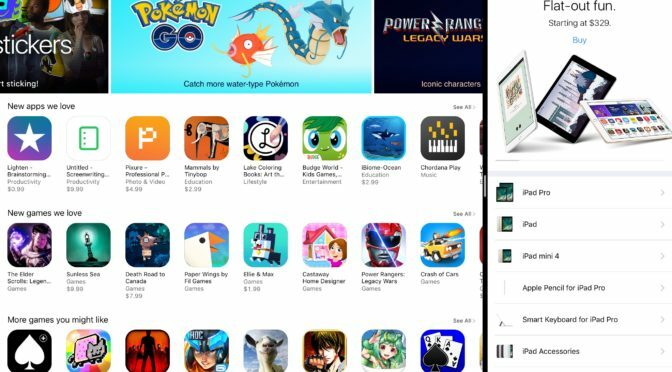 Anything that would cut down on the scrolling required to find apps would be welcomed. Perhaps the easiest addition to aid in selecting multitasking apps would be adding a permanent Spotlight Search bar to the top of the multitasking pane’s app list. I often use a physical keyboard with my iPad Pro, so this feature would be ideal for me and others who do the same. Also, we already have this functionality in by swiping down in the Home Screen to open a Spotlight Search, and many of us use it often. It just makes good sense to make the interface more consistent. Along with a Search dialogue, I would like the option to add a row of Siri App Suggestions. 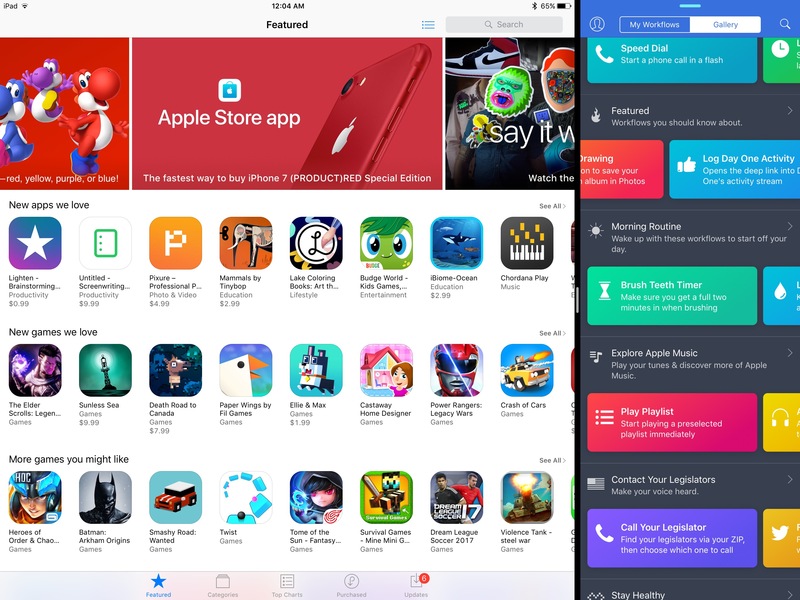 Again, this is just like what we have in the standard Spotlight Search interface, so this would just bring the multitasking app selection options an additional element of consistency. Also, while these suggestions were often annoyingly poor when I starting using them during the iOS 10 Betas and early after release, Siri is getting better with time and some good old machine learning. I now find that the suggested apps reflect both my recently used apps, and my typical usage during different times of day. Assuming Siri suggestions continue to improve, this would just bring a little more order to chaos. In keeping with the title of this article, the intent here isn’t to whine and complain about opening apps for multitasking. 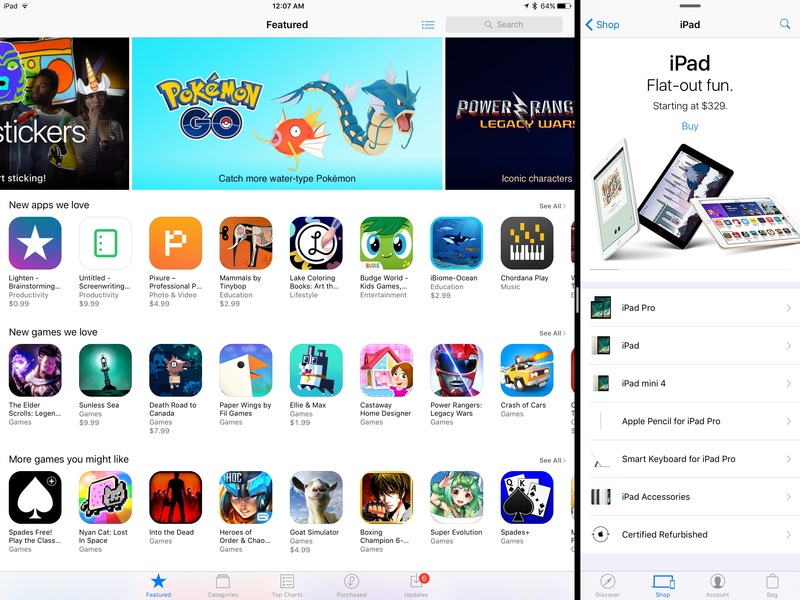 Rather, the goal is to point out areas in iOS that could use some improvement and suggest some good ways to do it. With WWDC and the reveal of iOS 11 around the corner, this series will continue through the coming weeks, as we look at other areas of iOS that could also use a little TLC. 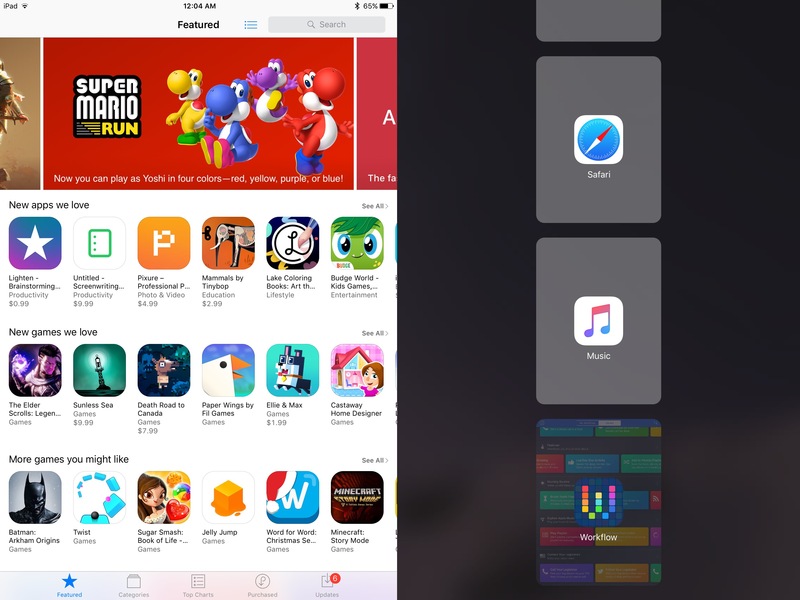 Do you have some suggestions on how Apple could better handle app selection for multitasking? How about suggestions for any other areas of concern that you would like to see addressed in iOS 12? Let me know in the Comments section below, on our Flipboard channel, or on Twitter @iPadInsightBlog or @jhrogersii.